We are almost at that time! 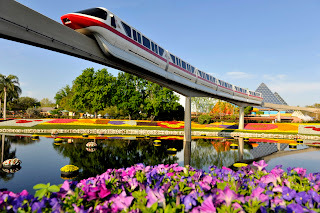 Epcot's Flower and Garden Festival is rapidly approaching with it beginning in just two short weeks, starting March 6th and lasting until May 19th. 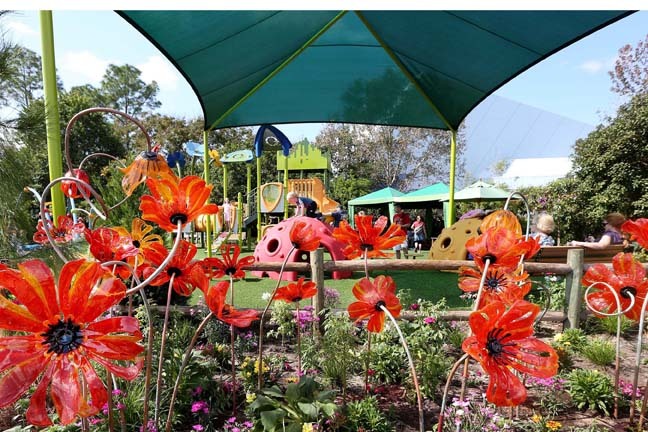 This year is the festival's 20th anniversary and will feature some of the things that we all know and love, like the Butterfly Gardens, the topiaries, and the Flower Power Concert Series, but it will also feature quite a few new adventures too. Let's take a look at all that this year's Festival will have to offer! 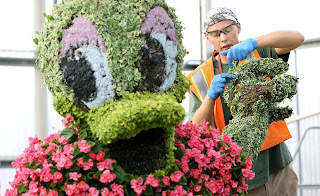 First off, I think the event that most people look forward to with Flower and Garden, is the topiaries. These have always been a favorite of mine. I still miss the days when topiaries could just be found at random all throughout the park. But Disney certainly does help to make up for that during this time of year! More than 100 topiaries will adorn the park, with a brand new entrance display including floral versions of Mickey, Minnie, Goofy, Pluto, Donald and Daisy in a celebratory cookout scene. The 14-foot-tall Goofy topiary will bobble an anniversary cake while Donald and Daisy play badminton, Mickey fires up the grill, Pluto swipes hot dogs and Minnie chills out on a colorful blanket of blossoms. In addition, new for this year will be Mike and Sulley in topiary form promoting the upcoming movie Monsters University. They will be found in the Future World walkway. Plus, for those who love Lightning McQueen and Mater, they will be found near the newly remodeled Test Track, along with a play area. This year, Disney will be making it easier to see the topiaries, as they will be illuminating gardens and topiaries each evening. 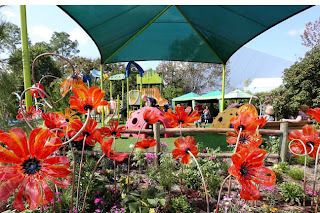 Speaking of play areas, are you as excited for the movie Oz: The Great and Powerful as I am? Well, for guests who want to experience a bit of Oz right here at the Festival, you'll be able to with themed midway style games, the famous crashed hot air balloon, and a giant playground centered around the movie. Also new this year, is the introduction of the Garden Marketplaces. These will be food and beverage booths celebrating spring time treats found along the World Showcase Promenade. Guests will be able to get a Passport, much like at the Epcot Food and Wine Festival and get it stamped at each booth. There will be twelve marketplaces overall. They are: Pineapple Promenade (World Showcase Promenade – Canada side), The Cottage: Savories, Trifles and Tea (United Kingdom), L’Orangerie (France), Taste of Marrakesh (Morocco), Hanami (Japan), The Smokehouse (American Adventure), Primavera Kitchen (Italy), Bauernmarkt (Germany), Lotus House (China), Jardin de Fiestas (Mexico), Florida Fresh (World Showcase Promenade – Mexico Side), and Fruits by the Glass (World Showcase Plaza). 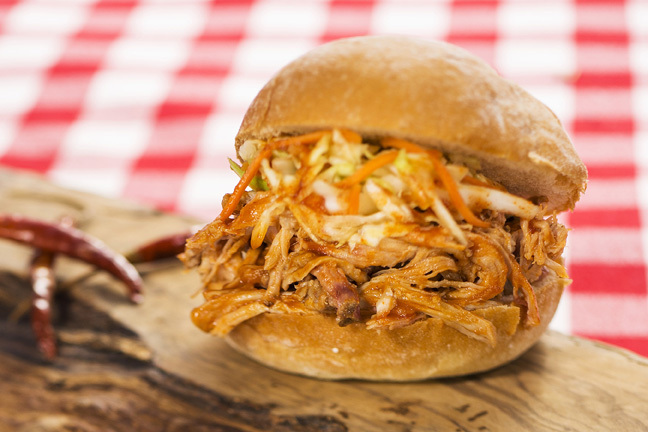 For a list of all the different food options, check out The Mouse For Less. A perennial favorite each year is the Butterfly House. This year, Tinker Bell's Butterfly House will feature eight topiaries of Tink and her fairy friends with hundreds of beautiful butterflies found near the Imagination Pavilion. 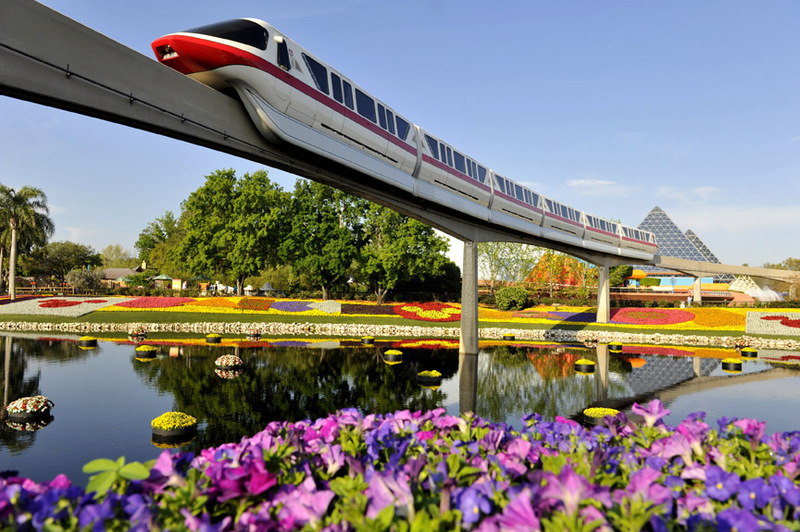 The Epcot Flower and Garden Festival is one of the most exciting times in Epcot during the year and it appears that this year the event is going to be even more spectacular than ever before. What is the thing you look most forward to for this year's Festival?